THIS EVENING, I shall be recreating the tape-loop powered “Proximity Mixer” – a collaboration with Tom Fox of Vulpestruments – at Hackoustic Presents… at Iklectik. 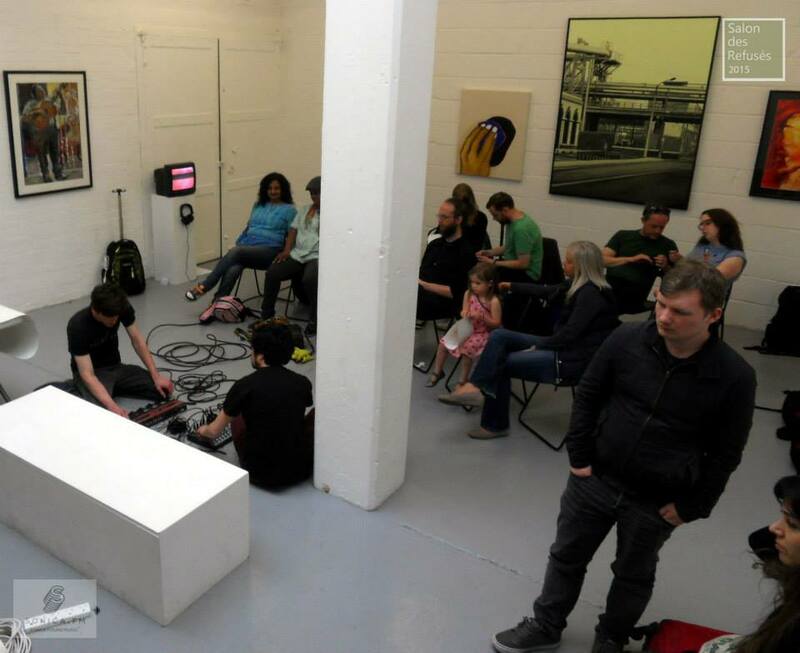 This piece was previously shown at Tate Modern’s “Tate Lates” last November. Tickets will be available on the door for both events. I will be involved with the first ever “Tate Lates” at Tate Modern on Friday 28/10/2016. 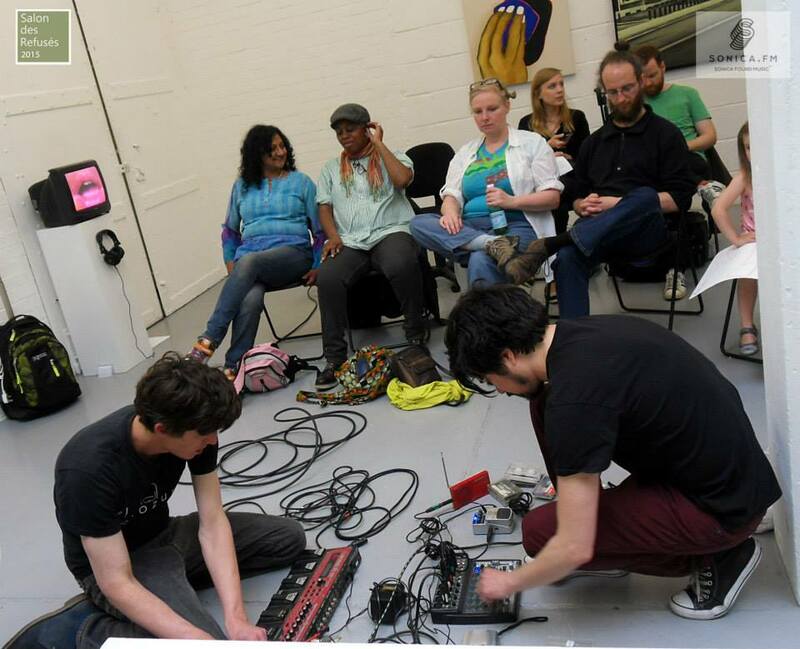 I have collaborated with Tom Fox of Vulpestruments, providing cassette tape loops for his new creation the “Proximity Mixer”. Come and check it out, along with loads of other interesting stuff from Hackoustic and others. I am honoured to be performing at GWYL NAWR Festival in Swansea on 20/11/2016. It is a stellar line-up, and raising money for a very worthy cause. These events will be my last contributions to the world of sound in 2016, aside from Sonic Darts, which continues to be broadcast on the first Monday of every month at 8pm on Resonance 104.4fm. I first used Pro Tools around six years ago, having spent the previous decade flitting between various DAWs – Sonar, viaCubase, via Cakewalk, as I recall. After a couple of years, I found myself gravitating more towards Logic, for a number of reasons – I love a lot of its native plugins/sample libraries, the superior midi aspect makes it better for putting together scores or sketching ideas quickly, and I don’t have to plug in anything external if I want to get my laptop out on a train and work on something. The last big project I did in Logic was the recording, editing and mixing of a Heck Tate track for the excellent Rip This Joint Compilation Vol. 1 (available as a free download or LP here). 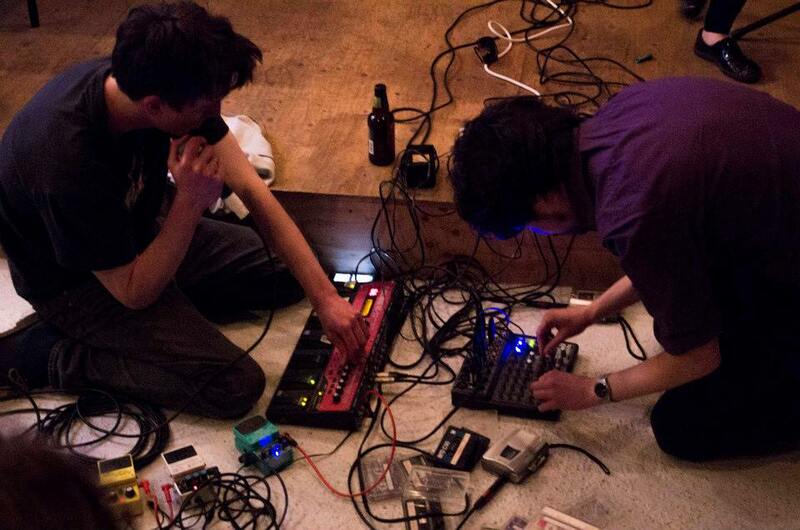 The Logic session for Heck Tate’s ‘Drip Dry’ track for the RTJ comp. Since we were generally satisfied with how ‘Drip Dry’ turned out, we began work on recording the first (and last) Heck Tate album in the same way. 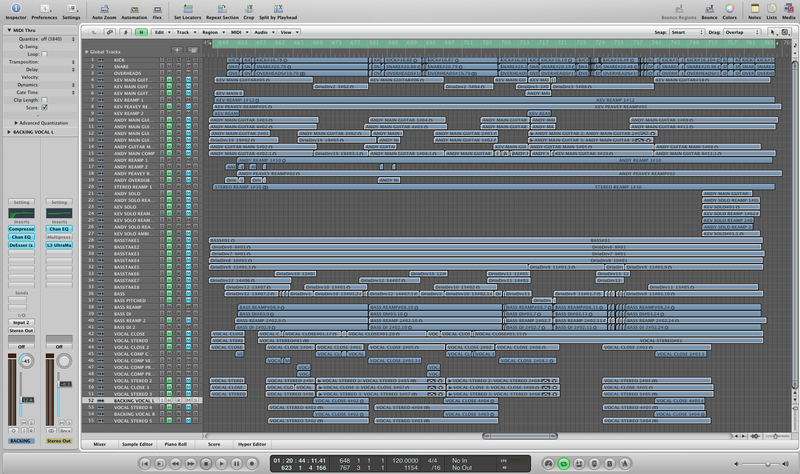 Tracking is almost complete, and the size and complexity of the sessions is starting to make Logic unworkable. Consequently, when it came time to do some interim test mixing, I fired up the old copy of Pro Tools. Immediately, I was struck by how much ‘cleaner’, quicker and intuitive dealing with pure audio files seemed to be. Crucially, the ease and speed with which one can overcome CPU overload by making tracks inactive or sub-mixing to a bus track made all those Logic-induced headaches go away. Naturally, when it came time to edit and mix the latest episode of Gwaith Sŵn’s Sonic Darts, I saw an opportunity to make my life easier by using Pro Tools. It was all going so well as I raced against the clock to meet Resonance’s submission deadline. After 8-hours solid working on it, I reached the 3am hinterland in surprisingly good spirits. That was, until I clicked on ‘Bounce’ and was greeted with a 1-hour countdown. In my enthusiasm, I had completely forgotten the exporting in PT takes place in realtime, and I had condemned myself to another 2 hours (one to wait for the mix, another to listen through and check for errors in final file) before any sleep. 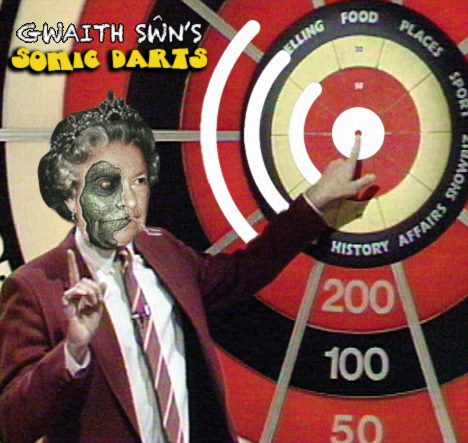 This month’s edition of Gwaith Sŵn’s Sonic Darts is broadcast tonight at 8pm (then repeated tomorrow at 9am) on Resonance104.4fm. This time around, we’re tackling the subject of conspiracy theories. I contributed a piece that explores Electronic Voice Phenomena (EVP) and alien conspiracies. Enjoyable, if somewhat gruelling (I think we played for over 40-minutes, which is around twice what we/I usually manage) show. As usual, the performance was dictated and directed by the P.A. 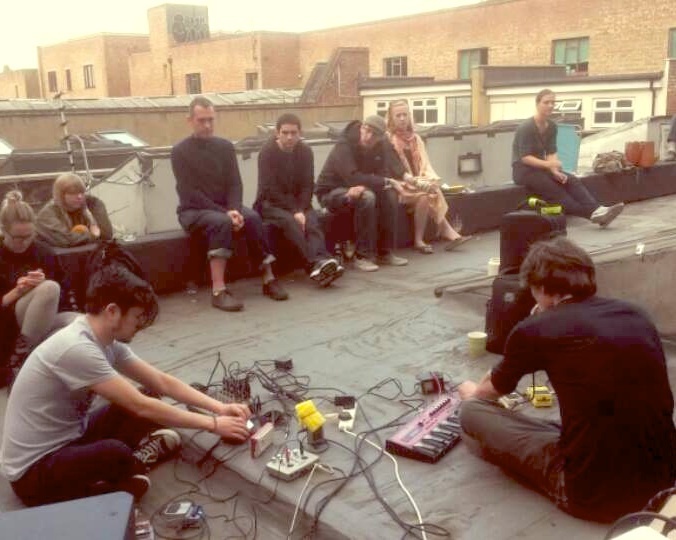 we were playing through, which on this occasion wanted us to play a mushy, ambient, primal set, rather than the more song-like vignettes we managed last time out at LimeWharf . We duly obliged. 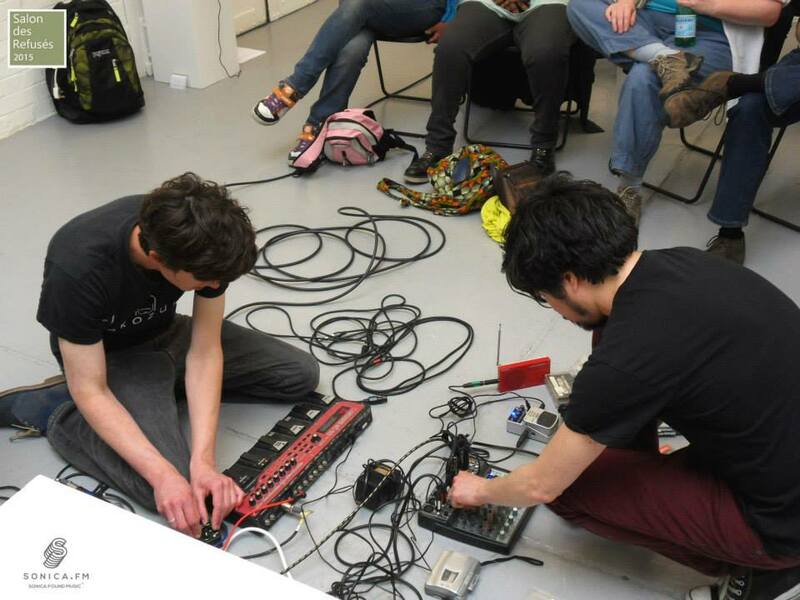 I am performing in a duo with Dan Linn-Pearl this Sunday at SPACE Gallery in Hackney, as part of Sonica FM‘s 3-day festival. Our set will combine my tape looping with Dan’s vocal loops.